Indian roads are becoming busier day by day. As we are growing as the economy, more cars are coming out on the road as a sign of prosperity. 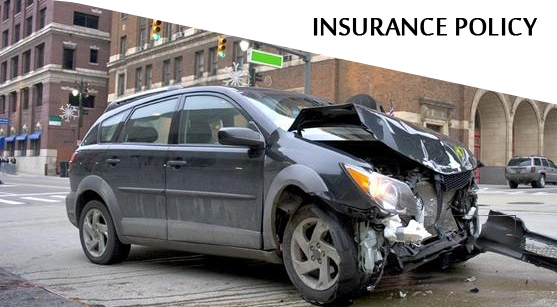 With limited road facilities compared to the sheer number of cars, third Party Auto Insurance claims are becoming a regular matter. As with all insurance matters, this auto insurance is also crafted with ambiguous sentences, legal jargons and confusing rules. What makes a claim valid and what makes it invalid are two most confusing and feared concepts in any third Party Auto Insurance claim. Knowing some basic steps will help you choose the help and create a winning situation for you. Read on. No matter what, you should rely on an advocate to settle your auto claims. The exit clause, the legal inspections the investigations – all these can be very stressful and confusing for us, laymen. A seasoned auto advocate can not only guide you through this, you will have a better chance at getting what you claimed for. The most recorded trouble every auto insurance advocate faces is that the client did not file a complaint in time. Ideally, you should file a claim within 24 hours of the accident. There will be a series of investigation that will follow this action. So, the more time you give your advocate to work, the better chance he/she will have built your case. After you have filed your Third party auto insurance claim, the insurance provider will launch investigations to scrutinize your case. In the case of bodily injuries, the victims may have to go through independent medical tests by doctors employed by the insurance provider. In the case of property damage and destruction, the property in question will be subject to inspection, as well. These reports are important for your advocate to build many aspects of the case in favour of you. After all the necessary investigations have been done, the third party insurance provider will issue compensation. The compensation will not match your demands. You could also be denied any claim. The real work for your advocate starts from this juncture. It might look like you do not need a legal help before you get a verdict from the insurance providers. Yet, in case of denial, the time and investigation results will help your advocate win you the case. Also, witness memory tends to fade with time. Your advocate, if appointed at the right time, can document the details of the incident in favour of you. All said, before you contact an auto insurance advocate in chandigarh, you should do some investigation on your own. Nowadays, knowing the background of your preferred advocate is easy: just check his/her credentials online. You should also ask knowledgeable authorities about the current situation of third party auto insurance settlement cases. Before you settle for a particular advocate, please check other candidates and their track records regarding this kind of procedures. Though it may sound impractical in the case of a serious car incident, knowing these basics will save you a lot.